PG&E says that although there were smart meter problems, they aren’t responsible for higher bills. Pacific Gas and Electric admitted that there are problems with some smart meters, although it said almost none of those problems had to do with accuracy. 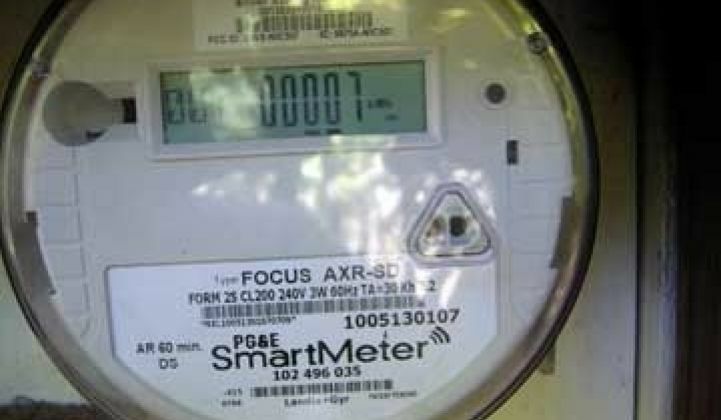 The California utility was taken to task by state lawmakers on Monday over smart meter complaints. Regulators have received nearly 1,000 complaints that smart meter installations have caused spikes in billing prices, but PG&E said that only eight of the nearly 5.5 million digital meters had to be replaced because of "accuracy issues." Although only a handful have been inaccurate, about 43,000 smart meters installed since 2007 have had other problems, including installation errors or transmission failures, Helen Burt, PG&E's vice president and chief customer officer, told the senators during the hearing. Burt said about 5,500 meters had networking problems; these units were replaced as they were identified and thus did not impact meter accuracy. Approximately 11,000 of the 5.5 million meters needed to be replaced or upgraded when data was measured but stored. She noted that in both of these cases customers were charged less and were not retroactively charged. The third issue, meters that were installed incorrectly, is similar to an issue Oncor encountered in their smart meter rollout in Texas. While Burt did not specify in the hearing if the PG&E calibrations during installation created higher than usual bills, she did note that fewer than 27,000 meters had this issue and that they have been repaired or replaced as they are identified. Although that figure is less than half of 1 percent of all the meters installed, it's still a high figure if it translates into angry customers. If someone sees their bill double, they don't care whether it's because the hardware is malfunctioning or if the installer didn't do their job right -- all they see is a headache. The argument that it's still better than the old meter is still coming strong from PG&E. The utility said it had to estimate 0.2 percent of customer bills because the smart meter wasn't transmitting enough consumption data, compared to about 0.8 percent of customers who see estimated bills due to problems and access with traditional meters. PG&E is planning a side-by-side testing of smart meters next to traditional meters, although consumers will probably not trust any result that does not come from a third party. Burt acknowledged the gap in confidence in her opening remarks during the hearing. "We have learned a lot from our rollout about the need for better communication with our customers," she said. "Customers should know that we've taken these important lessons to heart." The acknowledgment that there are some problems may be too little, too late to restore consumer confidence. However, other utilities are sure to take the lessons learned by PG&E to heart for their own smart meter rollouts.